Widely acknowledged for manufacturing the smoothest-riding and toughest plate-aluminium sportsfishing boats in the country, Bar Crusher has never lost sight of the fact an exceptional trailerboat must also perform at the ramp and on the road. In that light, every Bar Crusher boat – from the smallest walk-around and cuddy cabin models right up to the flagship hard-top – is factory-packaged on a custom designed and built Bar Crusher trailer for easy towing, launching and retrieving. 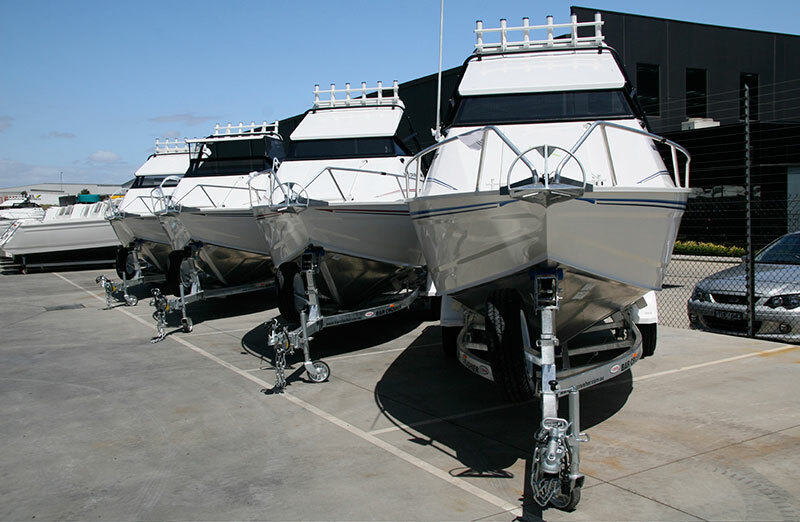 Bar Crusher’s Peter Cleland said many other boat manufacturers often chose ‘off-the-shelf’ trailers that weren’t designed to fit the boats, or left it to their dealers to put trailers under their boats. “At Bar Crusher, we’ve designed custom trailers which all our dealers must offer to ensure every Bar Crusher boat is a breeze to tow, launch and retrieve,” Mr Cleland said. “Our 90° guide design ensures the boat self-levels and self-aligns, so the boat can be driven on and hit the winch post first time, every time. Specifically engineered for each boat, to ensure maximum support and stability, Bar Crusher’s heavy-duty single and dual-axle trailers feature fully-galvanized axles, springs and hubs, aluminium powder-coated mag rims, keel and wobble rollers, multi-speed winches, swing-up steel jockey wheels, spare wheels and mechanical or hydraulic disc brakes (depending on the boat the trailer is built to suit). Fully-sealed and waterproof LED lights are standard on every trailer, while mesh walkways are available as options on all models. “Add to this list non-slip side steps and UV-resistant guards and mud flaps, to protect from stone chips and road grime, and you have quite a package,” Mr Cleland said.